Sign up and receive Property Email Alerts of Villas to let in Sorez, West Mauritius. At the heart of Soreze, a luxurious villa is available for rent. A uniquely perfect blend of rich cultural and contemporary design. This villa gracefully resides on a land of 1100 square meters with 324 square meters of living space. This villa has a main lounge, a dining room in addition to a portrait layout of the huge swimming pool. 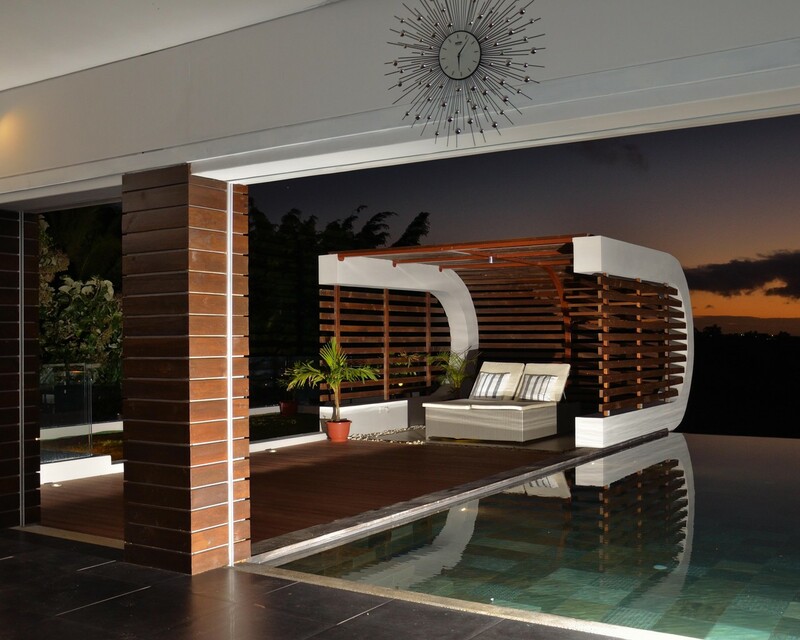 The tenants can enjoy full privacy on the terrace and enjoy the pool overlooking Port Louis. It is designed with two en-suite bedrooms, one guest restroom with a bathtub. The kitchen is fully equipped and has all the basics to an immediate move in. Sign-up and receive Property Email Alerts of Villas to let in Sorez, West Mauritius.